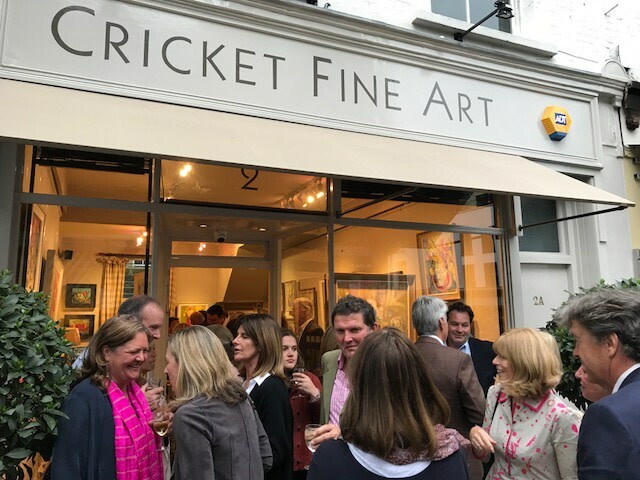 With London in bloom at the Chelsea Flower Show from 23 - 27 May, Cricket Fine Art in Park Walk is also 'In Bloom' 16 - 27 May with a stunning collection of flower paintings by Annabel Fairfax, David Pearce and Emma Haggas. The exhibition opened with a Private View last night and a huge amount of people attended including the delightful Ken Howard, one of the legendary members of the New English Art Club, which was founded by a group of artists dissatisfied with the entrenched attitudes of the Royal Academy, the group mounted their first show in 1886 and work included paintings by Clausen, Sickert and Stanhope Forbes. The New English increasingly attracted younger artists, bringing with them the influence of Impressionism and Post-Impressionism. Many diverse styles of art have developed since its founding, adding richness and variety. 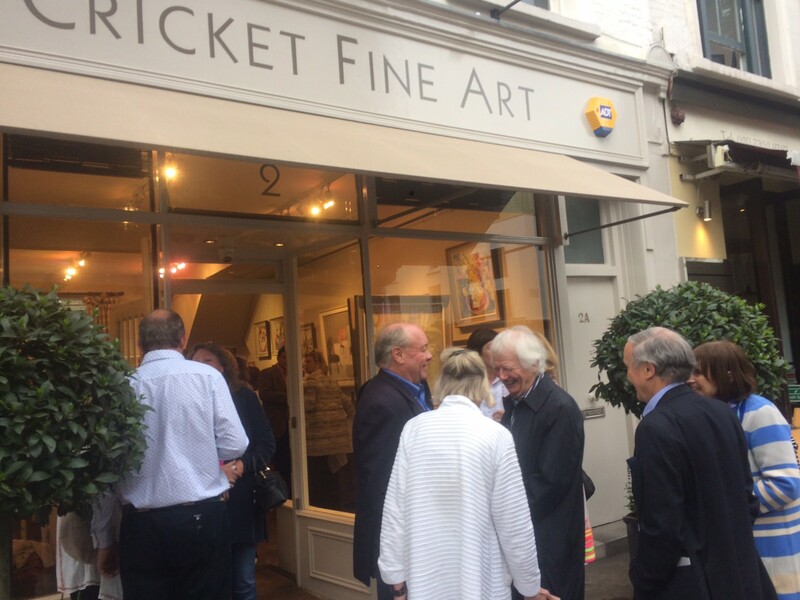 It was a great compliment to our artists that Ken Howard attended and admired their work. We in turn loved his shoes which were as colourful as the paintings on the walls. 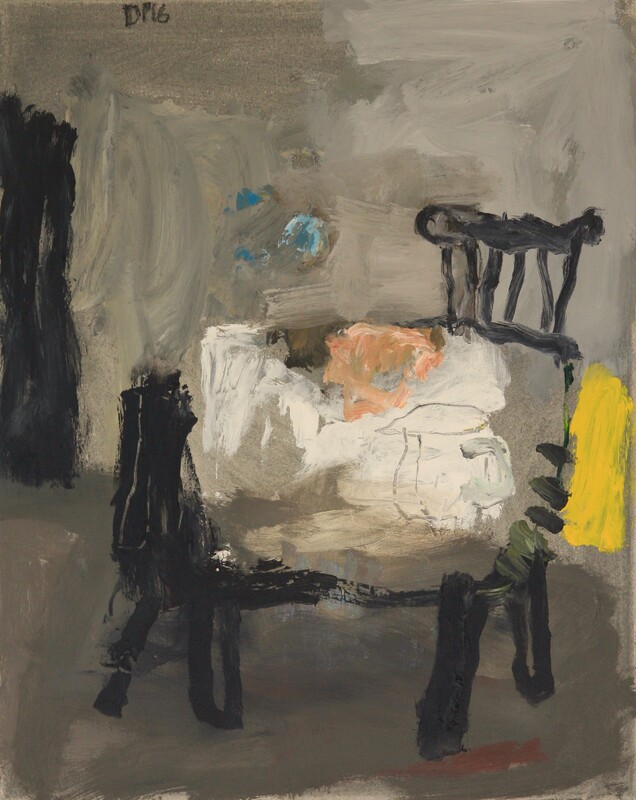 David Pearce's quirky interpretations of still life and landscape painting make a wonderful contrast to the energetic and colourful floral displays by Annabel Fairfax and Emma Haggas. 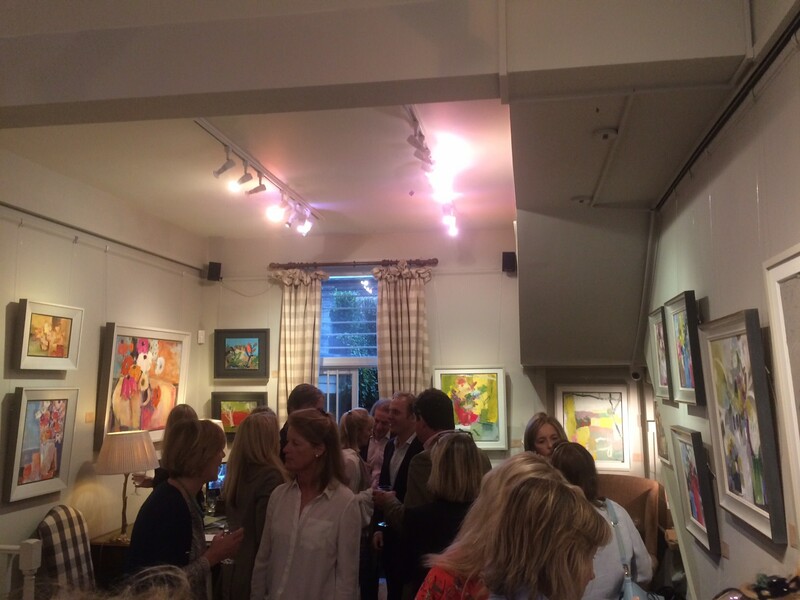 If you are searching for a special painting to give any room in your house a lift this exhibition is definitely worth viewing.